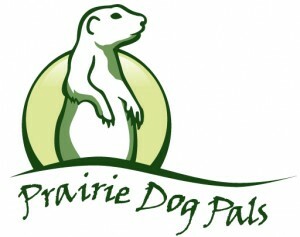 Prairie Dog Pals catches prairie dogs in two ways, by trapping and by flushing. For flushing, we use a 500-gallon tanker. The tank contains clean water and biodegradable, non-toxic soap. 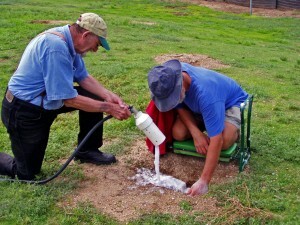 The mixture is pressurized using an irrigation pump and hoses are run out to the burrows. There are many ways to make foam. We use a nozzle hooked to a chamber with baffles in it to make foam. The foam has entrained air so the mixture will not drown the prairie dogs. The mixture is directed into the burrows. 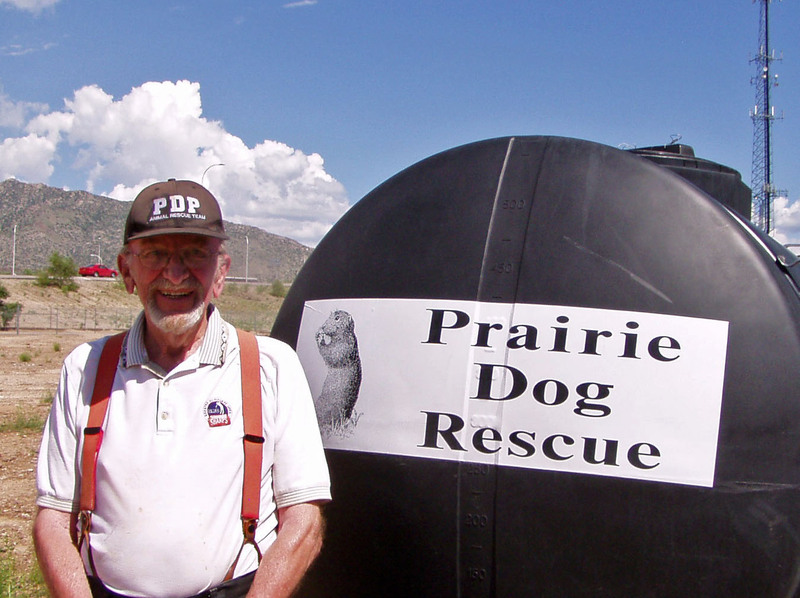 Not all burrows contain prairie dogs and not all prairie dogs come out when flushed. Gunnison’s prairie dogs typically block their burrows at night to avoid attracting predators. They also can block the burrow during inclement weather and when being flushed. They have escape chambers and air chambers as well to allow them to escape from the foam. Here a prairie dog has emerged and been captured. 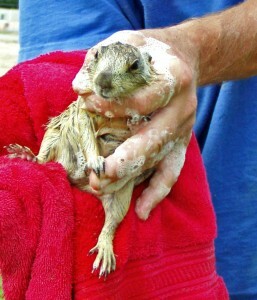 The prairie dog is dried off; saline is placed in its eyes to rinse out any soap residue or grit. 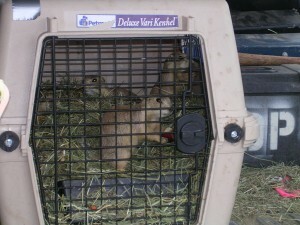 The prairie dog is placed in a kennel. Family groups are maintained by using different kennels (typical) or food dye to differentiate between the families. The family groups are kept intact throughout the relocation process. 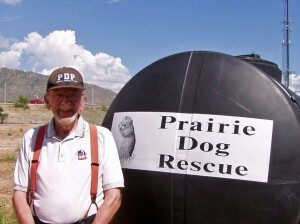 For the flushing and trapping checklist that we use, please click here! Once the prairie dogs have been captured, we bring them to the staging facility. There they are checked for health issues then placed with their family members for feeding and observation. When they are ready, they will be released to their new, safer, locations.